The use of mould and die cleaning system developed by us is a high-tech, low-labor method for cleaning injection moulds and dies. The ultrasonic cleaning removes carbonization, mould release, gassing, flashing, and other residues from moulds and dies in as little as 15-20 minutes. The use of Ultrasonic Cleaners for Die is developed by us is a high-tech, low-labour method for cleaning injection moulds and dies. 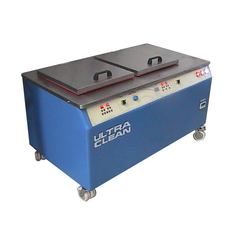 The ultrasonic cleaning removes carbonization, mould release, gassing, flashing, and other residues from moulds and dies in as little as 15-20 minutes. Looking for Ultrasonic Cleaners For Die & Mould Cleaning ?